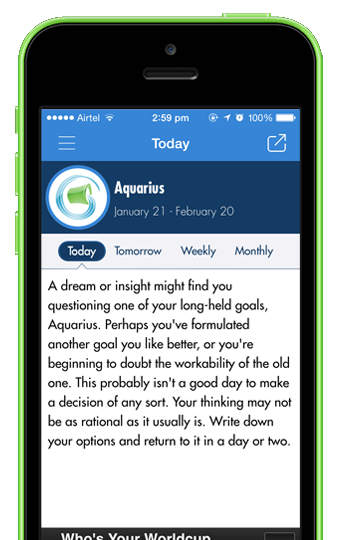 iHoroscope - Know Your Personality application for your iPhone, iPad and Android. iHoroscope - Knows your Personality is the best horoscope app for iPhone, iPad and Android. iHoroscope - Know Your Personality is the best horoscope app get your daily, weekly and monthly prediction anytime. Start your morning with our iHoroscope applicationManage life's situation more efficiently through our unique horoscope and find out what starts have in store for you. Worrying about your Career, Family Business or Romance? 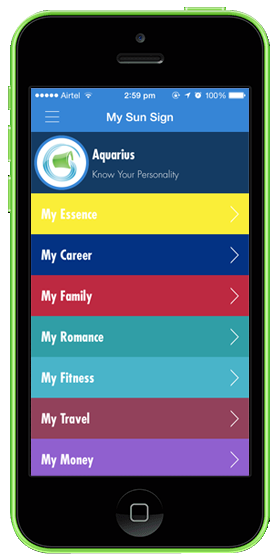 Use iHoroscope application to understand your Career, Family , Business, Romance, Fitness, Money and Karma. Understand your unique future prediction for weekly, monthly and yearly. Well plan for your future and be ready to adjust yourself with your star positioning. Concern about how your partner is matching against your sun sign? 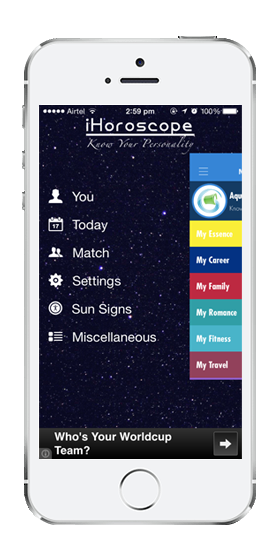 Use our iHoroscope application for finding the best answers for your relation on different aspects of life. 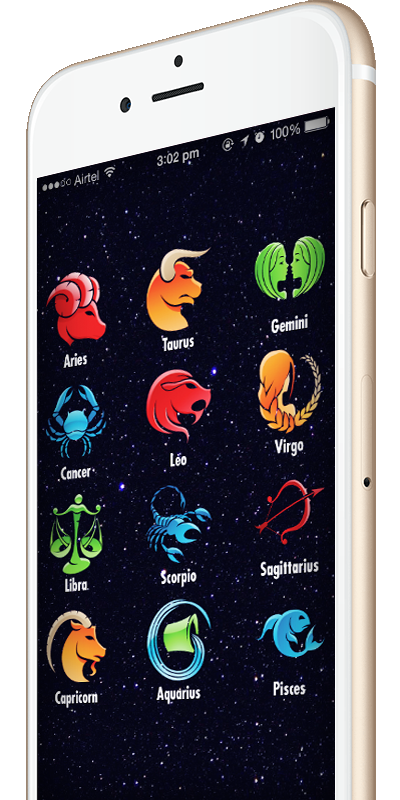 iHoroscope application, brought to you by K S Infotech the best application for your device which gives you personalized prediction against your date of birth.Our astrologers provide daily advice on Career, Work, Business, Love and on Health. Daily Horoscope - Get daily updates of your prediction, right no your phone. Weekly, Monthly and Yearly Horoscope - Know your future predictions by week, month or year well ahead. Know your Essence - Know what sun signs are telling for your Career, Business, Love, Work, Family, Money, Karman and many more. Partner Matching - Add your partner details and know your partner better by comparing side by side. Unlimited Partner - Add unlimitied partners to match with you side by side. This app is spot on! Not only does it specifically have me down but also my relationship with my husband! Get it now!! This App really works!! Is always right ! This app is excellent I recommend it to anyone! It's spot on its awesome! It tells you exactly what you need and want to hear! So I encourage you to get this app! This is a well made app! Very detail orientated and accurate. Thanks! very sleek design ♑️ this app gives accurate perspectives about your sign including your style and taste. Also features sign compatibility love it! I love this app!! It's absolutely 100% accurate! To me this app is flawless!! Try it out.. U won't be disappointed I promise!